Doctor in Law and Social Sciences, School of Law and Social Sciences of the University of the Republic of Uruguay, Master in Public Administration, University of Southern California. He studied in Southwestern Legal Foundation, University of Texas, Dallas; the Center for International and Comparative Law (1980) and the Hague Academy of International Law (1983). He is an international consultant, Professor at the Master of International Affairs Program (School of Law of the University of the Republic and the University of Montevideo). President of the Uruguayan Council of International Affairs (CURI). Former Minister of Foreign Affairs Senator (1993-1995), Minister of Energy and Mining (2000-2002) and National Senator (1990-1995, 2005-2010, 2010-2015). He is member of several national and international institutions: American Associations, Inter-American Federation of Attorneys, Uruguayan Council of International Affairs (CURI), International Council of Trade and Manufacturing (CICYP), Argentine Council of International Affairs (CARI) and the National Academy of Economics. He has published the following books: Mercosur e Integración (1991), Uruguay y el Nuevo Orden Mundial (1992), MERCOSUR: Una Década de Integración (2000), El Hilo Conductor (2007) y LA VIEJA TRENZA: la alianza porteño-lusitana en la Cuenca del Plata 1800 a 1875 (2013). Doctor in Law and Social Sciences, School of Law and Social Sciences of the University of the Republic of Uruguay (1975). International Marketing Institute, Harvard University (1972), Major in Foreign Trade. Since 1975 he has worked as Advisor and Political Leader in different Organizations of the Public Administration, focusing on Administrative Law and Foreign Trade. He practiced law from 1995 to 2015, specialized in Business Law and Foreign Trade. He was Technical Advisor of the National Administration of Foreign Trade (1974-1976); Technical Advisor of the Ministry of Economics and Finance (1977-1989); Deputy Secretary of the Ministry of Agriculture and Fishery (1990-1991); Advisor to the MERCOSUR Sectorial Commission (1992-1996); President of the Technical Commission of the Maritime Front (1994-1996); Executive Director of FONPLATA (1994-1996), Advisor to the Board of Directors of ANTEL (1994-1997); elected Senator, substitute member of Congress 1990-1994; Member of the Commission of International Affairs of the Chamber of Senators; Representative and Advisor of the Uruguayan delegations for multiple commercial negotiations: Protocol of Commercial Expansion (Brazil); Uruguayan-Argentine Agreement on Economic Cooperation; GATT- Uruguay Round; Cairns Group; MERCOSUR; World Trade Organization. He is member of the Uruguayan Bar Association; National Institute of Tax Studies and he is a former advisor to the Uruguayan-US Cultural Alliance (1987-1996). Author of several publications on legal and historical issues. 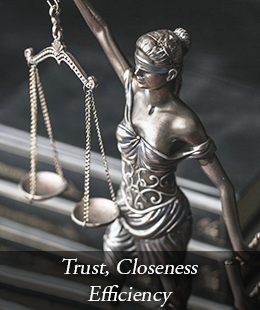 He is a consultant professor on legal issues related to his specialty areas. Doctor in Law and Social Sciences, School of Law and Social Sciences of the University of the Republic of Uruguay (2006). In 2007, he studied International and Comparative Law at the Center for American and International Law, in Dallas, Texas. In 2012, he pursued a Management Program for Lawyers in the University of Yale, Connecticut, United States of America. Doctor in Law from the Catholic University of Uruguay, 1997. Practice area: Commercial, Labor and Civil Law. Doctor in Law and Social Sciences graduated from the University of Montevideo (UM) in 2010. She participated in the summer course in the Academy of International law in The Hague on International Private Law (2009). She represented the UM at the II International Competition on International Commercial Arbitration in Bogota, Colombia, achieving the second place out of 21 universities (2010). She represented the UM at the “Eighteenth Annual Willem C. Vis International Commercial Arbitration Moot” in Vienna, Austria, achieving the second place out of 265 universities (2011). Doctor in Law and Social Sciences, graduated from the University of the Republic, School of Law in 2003. Notary Public graduated from the University of the Republic in 2007. He is a member of the Pando Bar Association and of the Commission to Support New Notaries of the National Association of Notaries. Public Accountant graduated from the University of Economic Sciences and Administration (UDELAR) in 2017. Between 2017 and 2018, she took the following courses: "Income Tax Update", dictated by Cr. Daniel Traverso; "Most important modifications introduced by the Accountability Law", in the Graduate Update Center (CADE), "Treasury Inspections (DGI, BPS and DNA)", in the Graduate's Upgrade and Upgrade Unit (UDELAR), "Improvement in VAT", in the Graduate Update Center (CADE).